My father is an only child yet he had 58 first cousins. We have spent the week in Newport enjoying the company of three of his/my cousins: Audrey, Britta and Venita. Of course, there are third cousins (Vicki, Terri and Kim) and even a fifth cousin, Tillman. 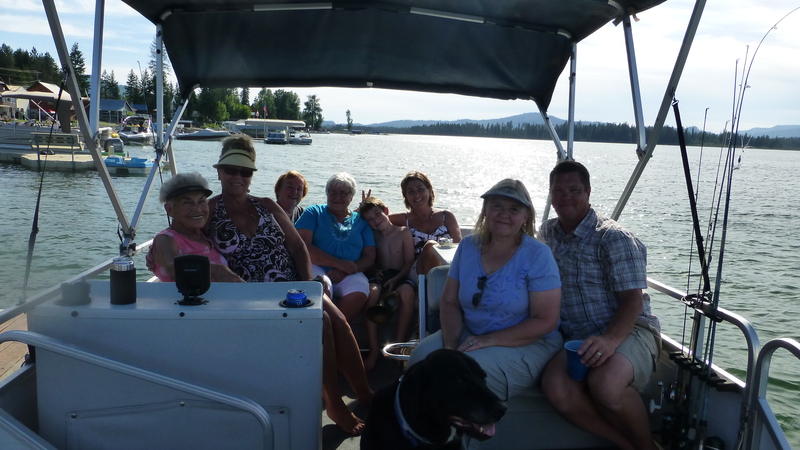 With them, we have watched a small town rodeo parade, eaten meals in and out, and taken a tour of Diamond Lake on a pontoon boat where they live or have cabins. It has been a pleasant week of visiting. On our own we walked some trails and went to Church in the Park. In our campground we have enjoyed the wild turkeys, deer, mini-golf, ping-pong, hot-tub and fellow campers. Because it is a membership campground, it is full of full-timers and we have gleaned some advice from their experience. 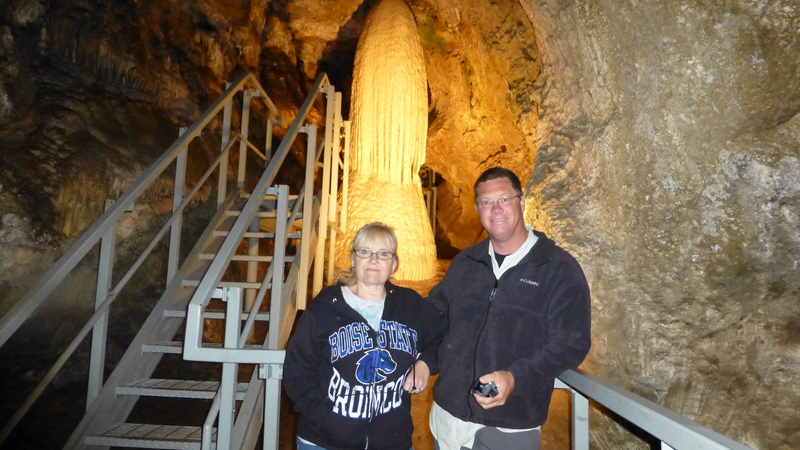 We drove almost all the way to the Canadian border to Gardener Cave in Crawford State Park. It is the second largest limestone cave and the only publicly accessible cave in Washington. On the way back we saw a large bald eagle on his/her nest. The other thing we have enjoyed here in Newport is having cell service, internet and satellite TV that all work at the same time. That hasn’t happened since we left Boise and it has been a nice reprieve. When you are accustomed to having it all, to do without it is a struggle! After breakfast at Britta’s we take off today for Priest Lake State Park for the Fourth of July weekend. This will only be a two night stay, our shortest stop so far, but all I could get at Priest Lake. It is a popular park! Happy Fourth everyone!